All webmasters want to attract more visitors to their website. It is an easy way to make more money. Other ways to increase income from the website includes to reduce bounce rate and improve conversion. Improving conversion is a good way to increase revenue with the same number of visitors. Through links and social media presence. 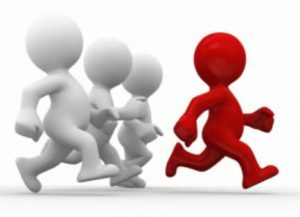 Below we are going to look at each of these ways to get more traffic individually. If you want to get more traffic from the search engines you will need to add more content, make the content you have rank higher in the search results or make sure that more people click on your site in its current position. Adding content will allow people to find you in the search engines for a larger number of different terms. How effective new content can be depends on how well liked your website is by the search engine and what topics the new content is about. Content that no one is looking for will not help you rank higher. This can be an easy way to attract more customers is there are any content gaps on your website that could be filled. Making your content rank higher in the search engines allow more people to see your content and click to visit it. Making your content rank his the best long term solution to increase the numbers of resistors to your websites. It can take time to see the results of your labor and it is important to not give up too soon. You can make more people visit your website by improving the meta title and description. Try different solutions until you find one that produce a high click through rate. Links and a social media presence can attract visitors direct to your website without going through a search engine. 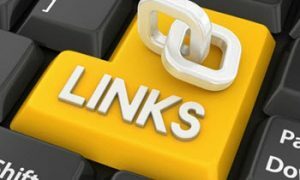 Most links will give you very little traffic but links in popular articles and on popular websites can bring a lot of traffic. Especially if they provide good additional information for readers who want to know more. Links will have the added benefit of helping you to rank higher in the search engines. Social media can be a very good way to attract customers and can allow your website to grow very quickly if you are good at creating viral content. Content that can attracts a lot of subscribers to your social media accounts and a lot of visitors for your website. Advertising is a good but expensive way to bring traffic to your website. It allows you to throttle up the number of visitors your website gets extremely quickly. How many visitors you can attract is only limited by your advertising budget. The drawback with advertising is that is create very few long term benefits. You will only get the traffic as long as you pay for it. The second you decide to stop paying for it you will lose it and be in the same situation you were before you started spending money on adds. Advertising can be a great way to get visitors fast but should never be the only way you get traffic. You should always try to make sure that you get more traffic through the search engines and social media so that the website can maintain an income even if you stop buying adds. How to choose topics to write about?